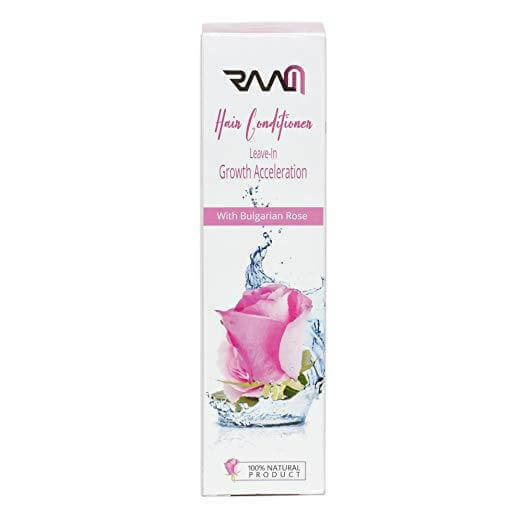 Revitalize your hair with RAAM Hair Conditioner Leave-In Growth Acceleration with Bulgarian Rose. Our natural leave-in conditioner makes your hair grow faster and longer! This all-natural, hydrating conditioner is perfect for dry, brittle, or thinning hair. 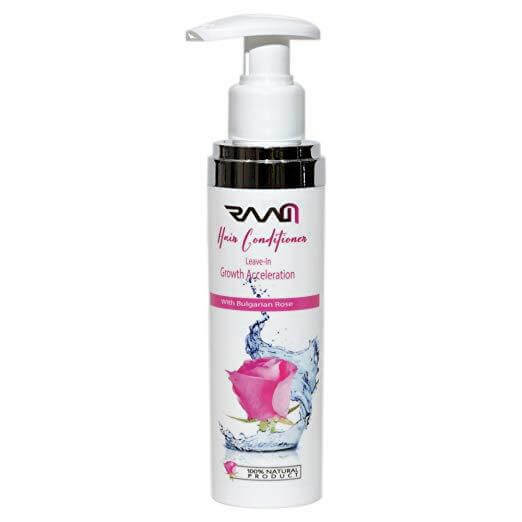 RAAM Products is excited to offer our all-natural Hair Conditioner Leave-In Growth Acceleration with Bulgarian Rose. This special formula has been FDA-approved to be 100 percent natural and dermatologist-approved. Our natural hair growth conditioner activates the process of hair growth, strengthening the hair and reducing breakage. 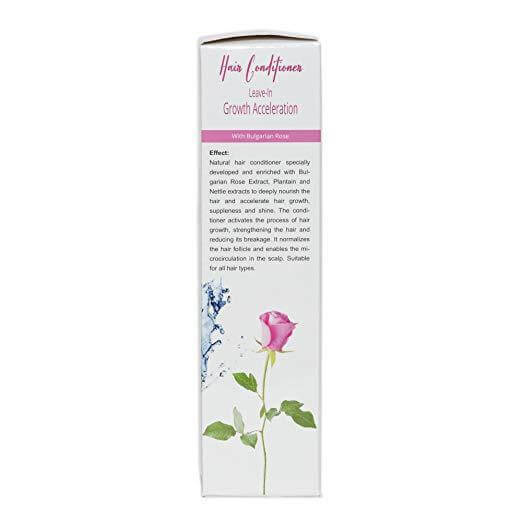 This all-natural conditioner normalizes the hair follicle and enables microcirculation of the scalp. 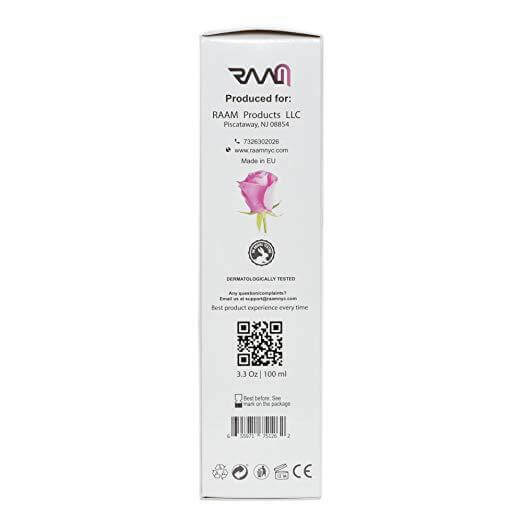 RAAM’s hair-lengthening conditioner is specially developed and enriched with Bulgarian rose extract, plantain extract, and nettle extract to deeply nourish the hair and help it grow faster while delivering weightless hydration and shine. Like all of our products, this hair growth conditioner is cruelty-free, paraben-free, and steroid-free. Pair our plant-based conditioner with our all-natural hair growth shampoo! 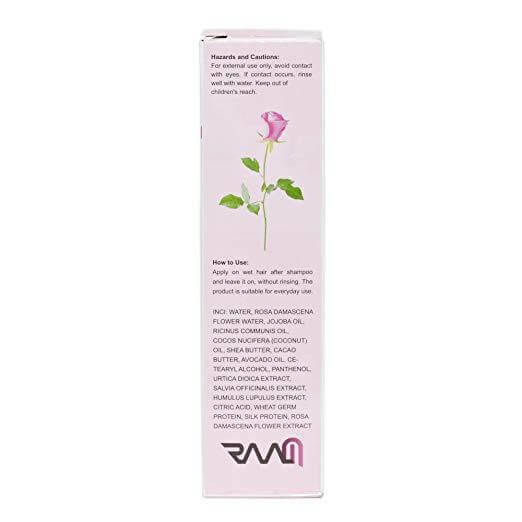 Infusion with one of the world’s rarest flower — the Bulgarian Rose — our hair-lengthening conditioner offers a variety of benefits like hydration, luster, and softness, in addition to hair growth stimulation and renewal. Apply this all natural conditioner on wet hair after shampooing and leave it on, without rinsing. Suitable for all hair types. For external use only, avoid contact with eyes. If contact occurs, rinse well with water. Keep out of children’s reach. © 2018 RAAM Products. All Rights Reserved.